If you’ve ever used Google Analytics, you’ve probably heard about UTM parameters. UTM parameters aren’t a new technology. In fact, they’re ubiquitous. But they also may be one of the most misunderstood and most frequently abused website tracking tools around. So today, I’m here to explain what they are, why they were invented, when you need to use them, and when you absolutely don’t. UTM parameters are one of the many tools marketers use to attribute conversions to different channels. Attribution may sound fancy and intimidating, but the concept is simple: it just means figuring out which marketing efforts influenced your conversions. Attribution is important because content marketers use many different channels to send traffic to our websites. Without attribution, we wouldn’t know which channels actually worked. You spent last month optimizing your website for organic search. You just launched your first round of Facebook Ads. One of your colleagues is mentioning your course in their newsletter next week. Without an attribution tool, all you’ll see in your reporting platform is the end result of these efforts — the sessions and conversions that happened after users got to your site. But by using a free and simple tool like UTM parameters with Google Analytics, you’ll be able to see how many people came to your site from organic search, email, or Facebook ads, and how many sales each channel influenced. Now, you may have read about different attribution models and other advanced attribution tech. While cutting-edge technology is always tempting, unless you’re a large enterprise company, simple attribution like UTM tracking will likely be more than enough to show you what you need to see. With attribution, a little bit can go a long way. UTM parameters are a specific application of a technology called query parameters, which is the name for the key-value pairs after the question mark in the above URL. Query parameters are a versatile technology, and they are used for much more than channel tracking. Designers sometimes use them to alter content slightly on a web page, and Google search uses a query parameter to display search results. Technically, you could use any query parameter key to pass tracking data into an analytics platform. But the UTMs — “utm_medium,” “utm_source,” “utm_campaign,” and so on — are the standard set by Google Analytics, and are automatically recognized by many different tracking platforms. So, now we know why attribution is important, and we know what UTM parameters are. But how did we come to use UTM parameters for attribution? And why do we need them sometimes, but not others? It all goes back to the browser. Tracking platforms like Google Analytics can read that referrer, even after you’ve left the first page and the second page has fully loaded. When you click on a Google search result, something similar happens, except your tracking platform sees “google.com” as the referrer, and knows the session came from an organic search result. Remember, all the tracking I’ve talked about so far happens automatically, with the information already there in the browser. But, what happens when you click on a link that’s not in a browser? Like, say, an email opened in a mail client? In that case, your browser has no idea where you were when you clicked that link. For all it knows, you may as well have typed the URL directly into your browser. Because you weren’t in a browser when you clicked the link, there is no referral information for your tracking platform to access. And that’s what’s known as “direct” traffic. To help website analytics users fill in these gaps, in the early 2000s a company called Urchin (that was later acquired by Google) started using these parameters to input tracking data. And, fun fact, that’s why we still use the UTM acronym today: the tracking method they developed was called the Urchin Tracking Monitor. When do you need to use UTM parameters? You should tag your links with UTM parameters when there won’t be any referral data. With podcasts and other “physical” links, you should use redirect links with natural language that make them easier to type in, but the same tracking concept applies. Now, there are some instances in which you’re technically sending traffic from one in-browser page to another, but the default referral information would give you an incomplete or incorrect picture of user attribution. That’s fine for a run-of-the-mill social media share, but this is your paid campaign, and it should be measured separately from other social media traffic. 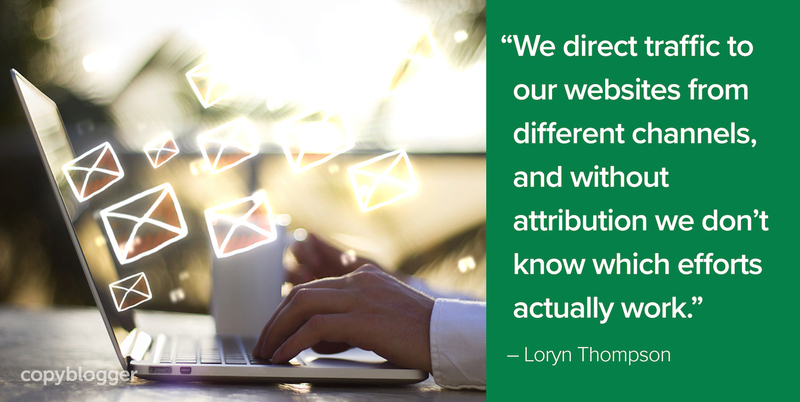 The more UTM parameters you use, the more detailed information you’ll have in your reports. Generally, though, I don’t use all five parameters for anything except ads. They’re just overkill for most things. Use UTM parameters whenever referral data is unavailable, incorrect, or incomplete. UTM parameters are an easy way for us to track which channels have the most influence on your website. But they have to be used carefully, because new UTM parameters overwrite any existing referral data. The absolute worst thing you can do with UTM parameters is use them on internal site links. Let me repeat that: Never, ever use UTM parameters on internal site links. If you do, it will overwrite the actual acquisition data for that session, so you won’t know where those users actually came from. You also have to make sure your UTM parameters are accurate. You don’t want to tag your emails with Facebook campaign links, or your Facebook campaigns as emails. Finally, I also think it’s common courtesy to not use UTM parameters when you link from your site to another person’s site. You’ll overwrite that external site’s default referral data. We’ve covered a lot of ground today — kudos to those who stuck it out! Attribution is important because it helps us determine which of our marketing efforts performs the best. UTM parameters are a particular breed of query parameters, which allow us to add extra information that isn’t available otherwise. Browsers automatically collect referral data when you navigate from one website to another, and we use UTM parameters to fill in the blanks when no referral data is available. UTM parameters should be used when the default referral data is absent (as in email links) or incomplete (as in social media ads). UTM parameters should be used with care because they overwrite existing referral data. Never, ever use UTM parameters on your internal site links. Before I go, here’s one last piece of advice: don’t overcomplicate things. Don’t use UTM parameters more often than you need to, and don’t waste your time putting in overly detailed tracking data that you’re never going to look at. Great post and primer. Two additional points that are important. While you need not use all five, you must use: utm_medium, utm_source, and utm_campaign. Without those three, Google analytics will not track it at all. And there is another reason to not use UTM parameters internally. They start a new session. Which will inflate your bounce rate and skew your landing and exit pages. You’re right that changing campaign (or source or medium) starts a new session and can royally screw up your data. Thanks for bringing that up! However, though the Google documentation indeed says you need to use all three, I’ve found that either source or medium will be tracked if available. Tracking referrals are really important to get better sales in future. I too use UTM parameters to track referrals, and I must say they are really helpful. But the key is not to overuse it and do the things which are necessary. Thanks for sharing this article. It contains a lot of details and information about UTM parameter. I really enjoyed reading this. Thanks, Jitendra! You’re right, it’s important not to get overwhelmed with tracking. I can’t tell you how many events that I set up and never looked at again! I’m so glad you enjoyed the article — it’s not often people say that about data stuff 😉 Have a great one! Thanks for sharing this post. Although this is all pretty new to me, I learned some things from reading it! As I begin to develop my products for sale, this is looming up in the near future on my learning curve! Glad you liked the post, and that you learned something! 🙂 Now that you know that the problem exists and how to solve it, as long as you keep things simple I’m sure you’ll do great. Thanks a lot for this article! It really simplifies the UTM parameters. Now I understand why we use them and how to implement them.